My daughter is SO EXCITED about Christmas – Christmas crafts, baking, everything! I love doing Christmas crafts with her – it always puts us in a good mood. Here are some fun Christmas craft ideas that use materials you likely have around, and even better – some that will save you from putting things into the garbage or recycling bin. I loved making these with my daughter last year, and it was even better that we could make use of bottle lids and caps that otherwise would have to be put in the garbage and end up cluttering a landfill. There are so many ways you can get creative with these! These 10 ideas feature pinecones, twigs and gumnuts – adorable fun with stuff from nature itself! This roundup has some great ideas for using all kinds of things like burnt out lightbulbs, corks, toilet paper rolls – and more! I LOVE how simple this is to make – and the result is absolutely lovely! Scrap ribbon and twigs are all you need! I love this blog for all upcycled, recycled, and sustainable crafting. This roundup of 10 ornament ideas does not disappoint with its great variety and creativity in using old stuff to make your tree beautiful! 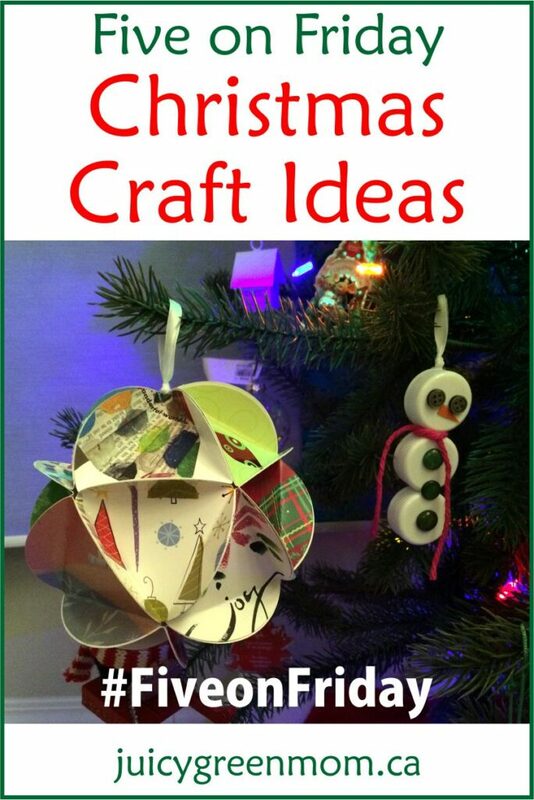 What are some of your favourite Christmas craft ideas?